Uses of a Life Estate: The life estate is typically used as a tool for estate planning. A life estate can avoid probate and insure that the intended heir will receive title to the real property. For example, let’s say that an aging parent would like to see to it that their son or daughter receive the full benefit of the value of the parent’s property, without the potential hassle of the property passing through probate or term care or perhaps Medicare costs eroding the value of the estate, a life estate is a likely vehicle for planning. The Appraiser’s Role: There are multiple scenarios where an appraiser is needed to evaluate a life estate. Sometimes the role of the appraiser is to estimate the value of the interest for the Tenant and sometimes the role is to estimate the value of the Remainderman. Valuation Scenario – Remainderman’s Interest: The following is an example where the appraiser’s role is to value the interest of the Remainderman. The property is encumbered by a Life Use that has been granted to a 70-year-old person. • Estimate the fee simple market value of the property assuming it is unencumbered as of the date of conveyance. The scenario presented assumes a fee simple market value of $500,000. • Estimate the term of the life estate. This element is based upon the age of the beneficiary (The Tenant) of the life estate and their life expectancy. Life expectancy can be estimated from a variety of published tables including that of the tables included in IRS publication 590, which contains a table of life expectancies based upon age. In the case of this valuation scenario, the beneficiary is 70 years old and has a life expectancy of 17 years. The following is an excerpt from the Life-Expectancy table that is included in IRS publication 590 (see Chart 1). • Estimate the expected rate of appreciation over the life expectancy. There are a variety of statistical references that an appraiser can utilize to estimate the expected rate of appreciation. That expected rate of appreciation should be rooted in fact and takes into consideration the kind of property that is being valued. For example if that property is located in an area that historically has seen better than average appreciation, then it is likely warranted that a better than average rate of appreciation be projected. If that property is located in an area or is the type of property where decline in property value is expected for some time then a below average rate of appreciation should be projected. For this valuation scenario let’s assume that the property will achieve a rate of appreciation that is typical of the general market. In this case your appraiser might utilize an institutional or nationally recognized benchmark such as the Consumer Price Index (all items). The benchmark chosen in this case was the twenty-year average of the Consumer Price Index (CPI), “All items”. The twenty-year average mirrors the term of the life expectancy of the tenant with CPI being one of most reliable and least subjective measurements of anticipated appreciation. A review of the CPI index, as published by the Bureau of Labor Statistics between 1993 and 2013 revealed an average rate of inflation of 3.1%. Inflation over the past ten years has averaged less than 3.0%. Your appraiser has chosen a rate of 3.0% for the anticipated annual rate of appreciation. • Discount the forecasted future value of the property over the remaining duration of the Life Estate at an appropriate discount rate. Discount rate is synonymous with what would be an expected rate of return for a like property. Expected Rate of Return/Discount Rate is essentially synonymous with the rate that an investor would expect over the anticipated holding period. There of course is the option of polling individual investors in real estate in order to establish what the expected rate of return should be. This however, is typically not a feasible method and would likely be flawed, depending upon the size of the sampling. Your appraiser in this case has consulted the Price Waterhouse Coopers Investor Survey that was published for the second quarter of 2013. Discount Rates for residential apartment properties ranged from 5% to 14% with an average of 8.04%. The subject property being a residential single family home would generally result in a rate at the lower end of the scale simply because it is not exclusively viewed as an investment vehicle. Your appraiser has estimated a rate of 7% for the subject property. Other benchmarks for expected rate of return could be long-term treasuries, bonds, equities or some type of index fund as these investment vehicles could all be alternatives to investing in real estate. The following chart depicts some of the other investment vehicles that an appraiser might reference (see Chart 2). Chart 2 illustrates what might be considered extreme ends of the investment spectrum yet also illuminate options that a prospective investor might consider. Summary of Life Estate Valuation - Remainderman Interest: The Remainderman’s interest is valued at $262,000, much lower than the fee simple market value of $500,000 (see Chart 3). Valuing the Tenant’s Interest: Consider the same information given in the previous example but now the appraisal problem is to estimate the value of the life estate for the tenant. Assume that a survey of comparable rents reveals that the rental market value of the property is $1,000 per month and that the tenant is responsible for maintenance, insurance and taxes. Therefore, as a result of the Life Estate granted, the tenant is enjoying the benefit of $1,000 per month. Other Assumptions: The market value of rents will continue to increase at the rate of 3% annually. The expected rate of return over the balance of anticipated life is 7%. 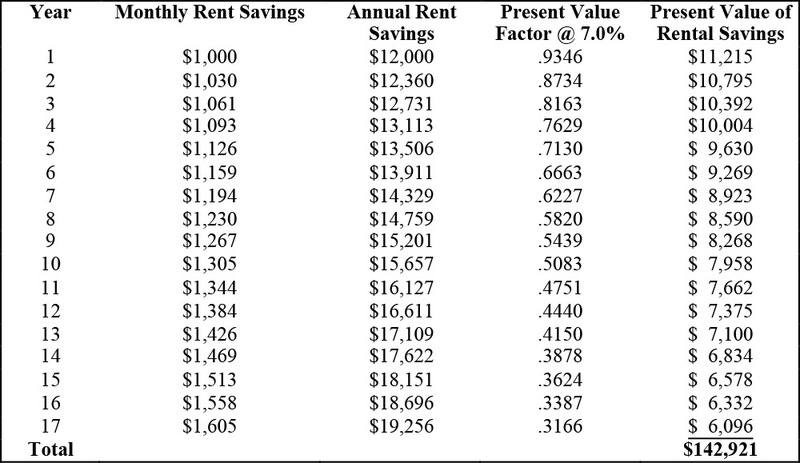 The benefit (or value) to the tenant is best illustrated in the following table (see Chart 4). The total present value of this Life Estate in this example (for the tenant) is $142,921 or $143,000 (rounded). 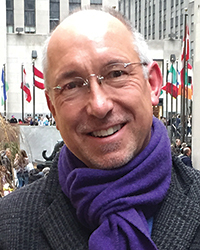 Marc Nadeau is a designated appraiser in Guilford, Conn.